After months of complaints from our forums, it appears Glamour is finally diluting its disastrous redesign, unveiled by editor-in-chief Samantha Barry back in April with the Melissa McCarthy cover. Since then, covers featuring the likes of Anne Hathaway, Kate McKinnon and Tiffany Haddish have fallen flat, until the Issa Rae cover last month started to show some slight signs of improvement. 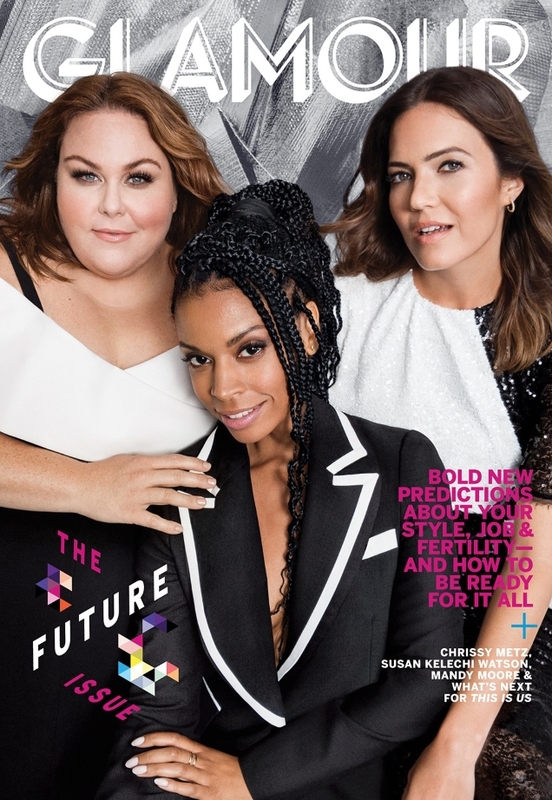 For November 2018, Glamour makes way for “This Is Us” stars Chrissy Metz, Susan Kelechi Watson and Mandy Moore for “The Future Issue,” shot by photographer Victor Demarchelier and styled by Alison Edmond. Unlike last month, this cover did not appeal to our forum members. “The future looks bland,” slammed GERGIN upon checking out the cover. “Very bland,” chimed in jal718. “These days, this magazine just ticks as many boxes as possible, and then considers the job done,” tigerrouge added. “I just can’t get over how budget this looks. Like the kind of airline or supermarket rags they hand out for free. I know Victor isn’t exactly the greatest photographer, but this is a new low for him!” Benn98 said. “What the hell is that background?” asked A.D.C. “This looks so cheap! Like something that belongs on Refinery29 to be honest… yuck!” RMDV mocked. A step in the wrong direction for Glamour? See what else the issue has to offer and join the conversation here.